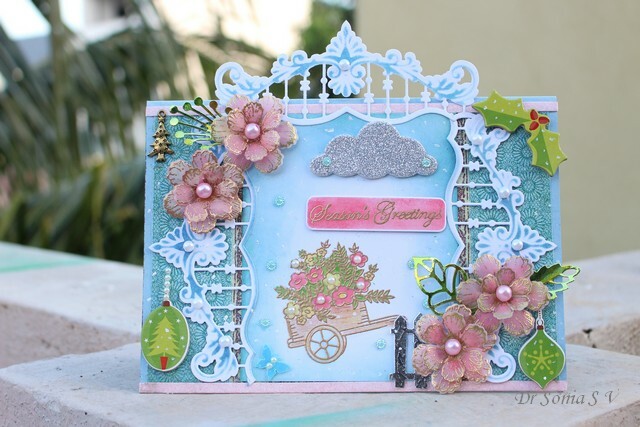 Hi friends sharing a card with a medley of media including, parchment, velvet fabric, glitter foam , real dry flower seeds and metal. 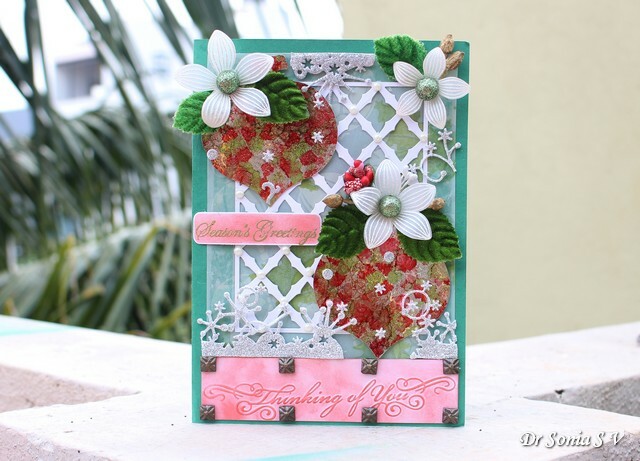 I used the Heartfelt creations Sun kissed fleur stamp and die cut set to make my flowers after stamping and heat embossing parchment with white embossing powder. The glittery green centers are beads! 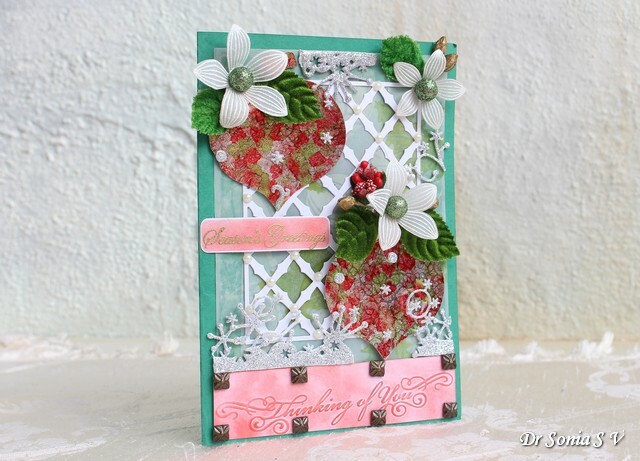 I bordered the embossed and inked Thinking of you with metallic accents sent to me by Vishakha.The lattice background of my card is a favorite poppystamps Meso background die. The picture above shows how the alcohol ink and the heat embossed parchment sparkles!The green leaves are velvet fabric leaves from my local fancy store. 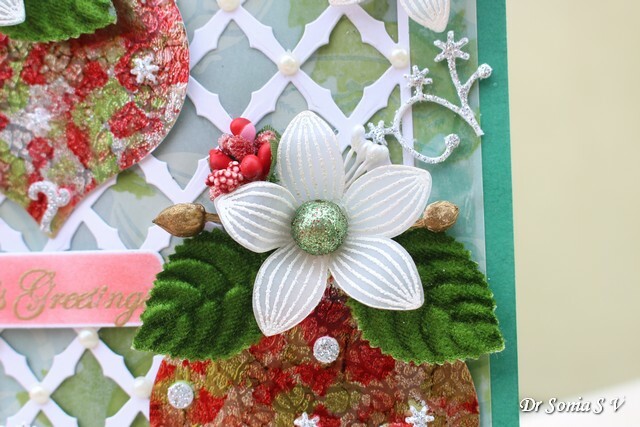 I had so much fun adding the different types of materials in this card! 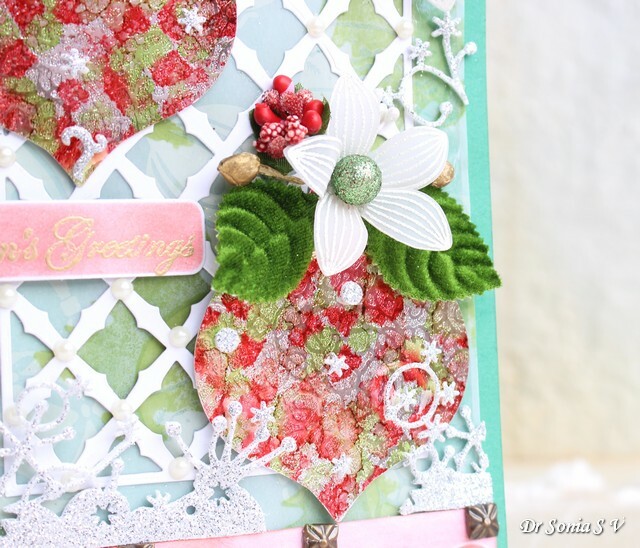 Linda 's 12 Tags Of Christmas challenge which is sponsored by her wonderful store, The Funkie Junkie Boutique - inspired by the red , green colors and , gorgeous textures and lovely shimmers + snowflake of Linda's wk 9 tag link above. 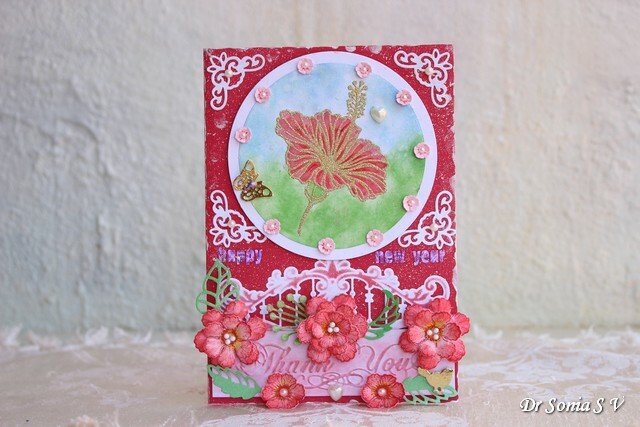 Hi friends sharing a Floral Thank you card featuring stamped flowers galore. 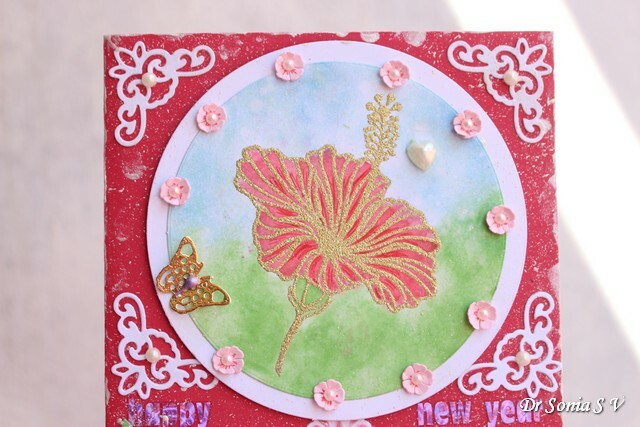 I am not much of a "stamper" but had so much fun using Ryn's Hibiscus which I had won recently. 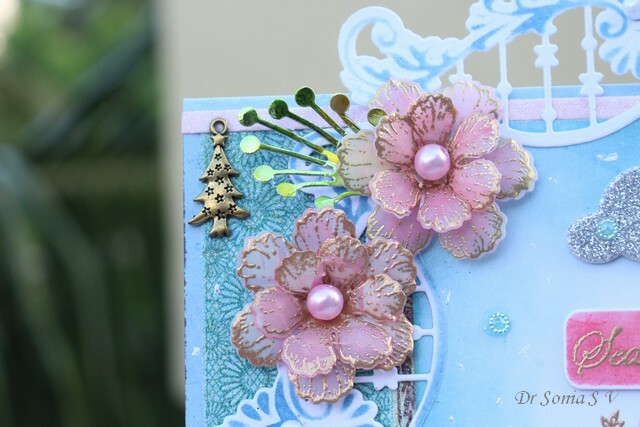 I stamped Ryn's gorgeous detailed Sideways Hibiscus rubber cling stamp with Versamark and heat embossed with Ranger's gold embossing powder. Water colored with distress inks. I used a red gel pen to add some strokes to the inner parts of the petal.The background was inked with distress ink and sprayed with Lindy's pearlescent spray. 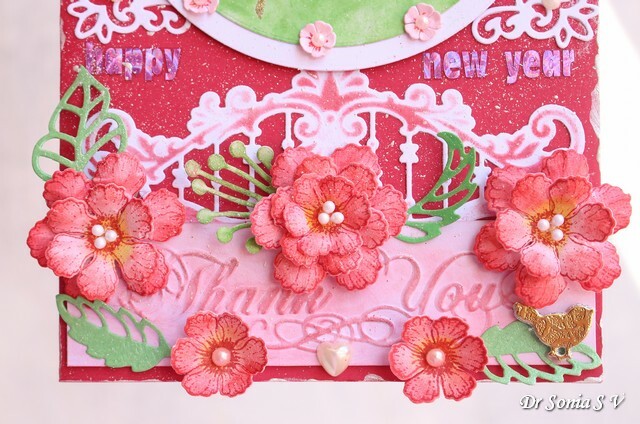 Added a favorite Marianne Anja Border on the lower part of my card and added stamped and die cut Heartfelt creations flowers. 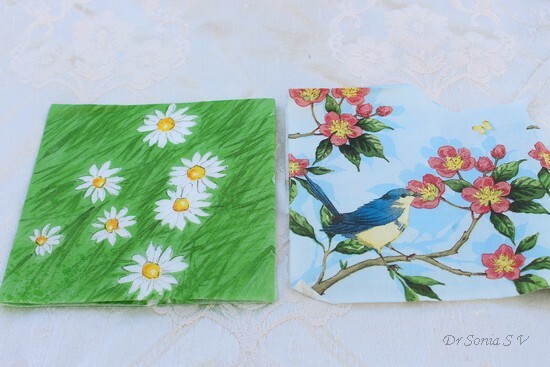 Nowadays my garden is visited by so many little birds and so I added a small Marianne golden bird to my floral card! 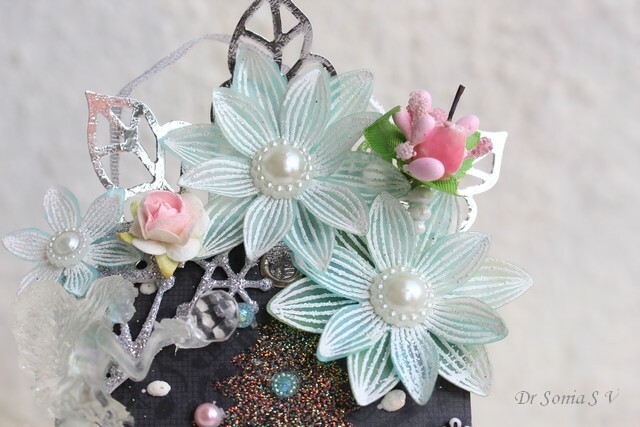 The Thank you was created using a Darice embossing folder I won from Isha's giveaway [ Thank you so much Isha]. I was inspired by my friend Pamelia to splatter white acrylic paint all over my card !! Thank you so much Pamelia ...though my card is very amateurish compared to your masterpieces I had so much fun! 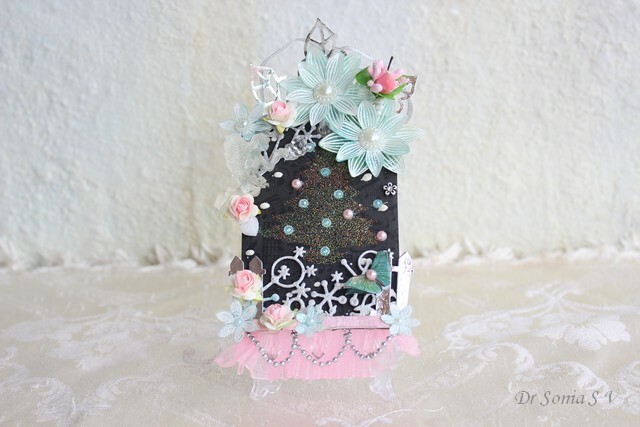 Hi friends Thank you so much for all the love showered on my Stone Decoupage tutorial post. Sharing a Christmas Card in non traditional Colors . 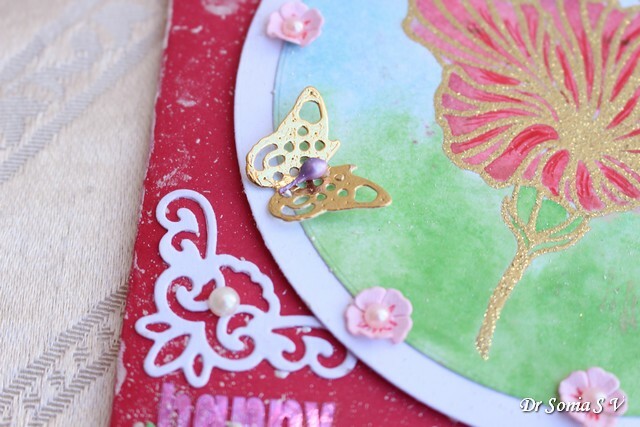 The wheel barrow with flowers is a Stamplorations stamp I heat embossed in Gold and water-colored using Artistry Ink Pads [a new type of ink pad launched in India] and Staedtler water color pencils. I dabbed the ink pads on a craft mat, squirted with a few drops of water and used it to color the flowers and leaves on the cart. The cart itself was colored with Staedler pencils and then brushed over with a paint brush dipped in plain water. 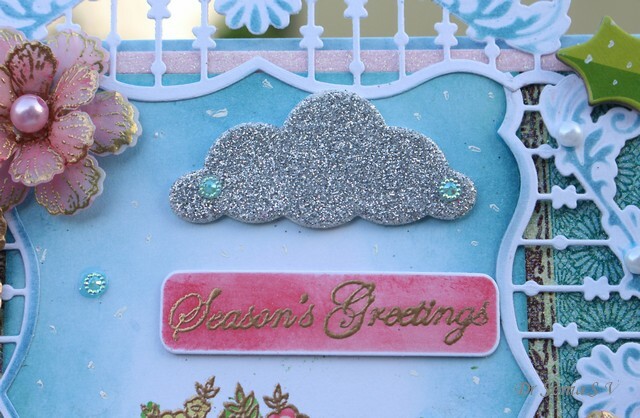 Its raining heavily in different parts of South India and I guess that is why I was tempted to make a card in deep stormy blue with a cloud! My daughter said it looks weird for a Christmas card but I guess for the kind of weather we are experiencing in this part of the world it seems ok! 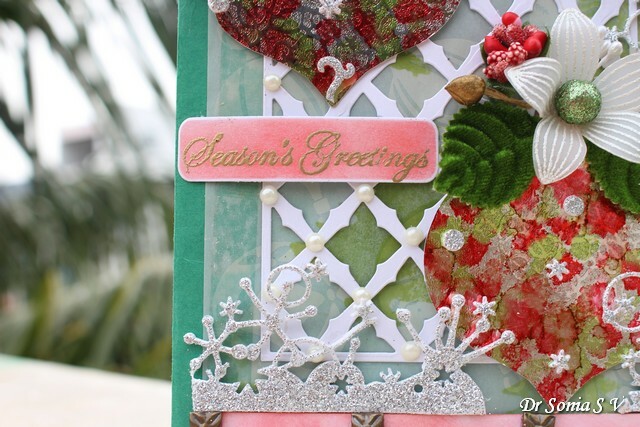 The holly leaves and berries is a chipboard embellishment . The white dots you see all over my project were made using a correction pen! I am no expert at inking edges but I loved how I could get a cool relatively" un-blotchy for me" card edge using my new ink pads! 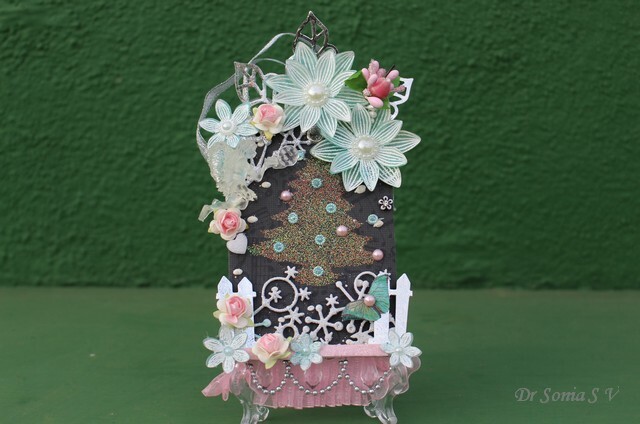 The Christmas tree ornament is also made of chipboard and I added a pearl string to hang it! 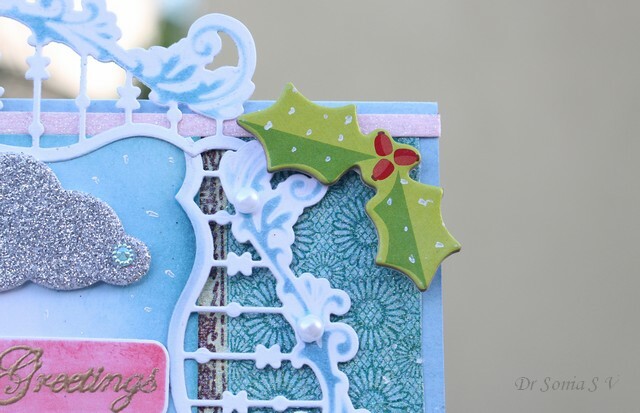 The elegant border is a Marianne Anja Border die cut I inked while the die cut was still in the die. 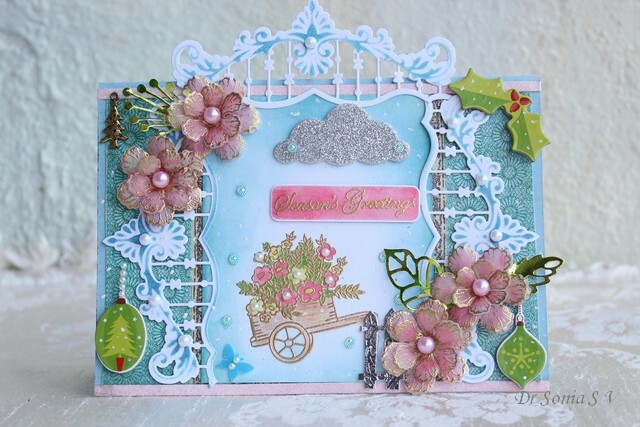 When there are flowers...one needs a little butterfly too but since it was a Christmas project I couldn't add too many so its just one tiny blue butterfly fluttering towards the cart load of flowers! 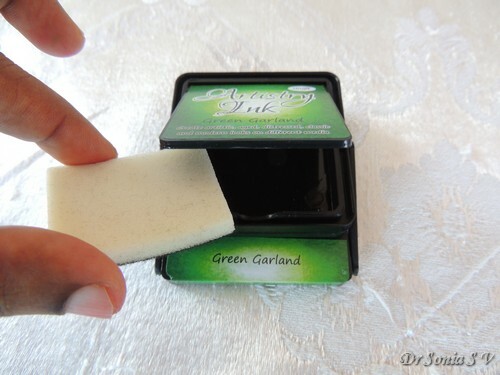 Now about Artistry Ink Pads...This review is especially for Indian Crafters since I dont think its as of now available in other countries! 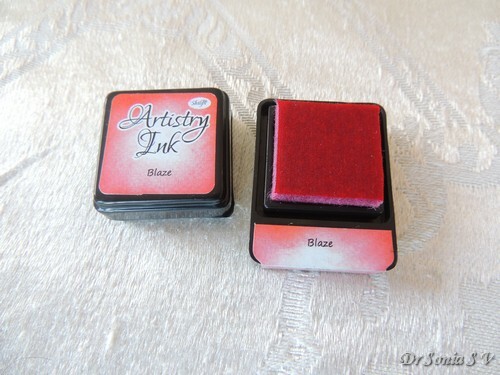 First of all a Disclaimer: I am not associated with the manufacturer of Artistry Ink Pads Shilpi in any capacity. 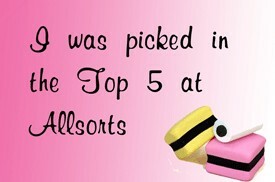 And this is not a DT post for any shop! 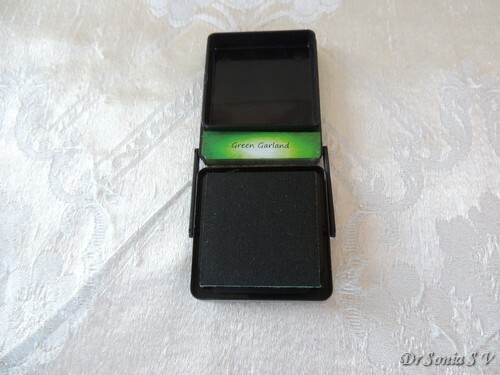 I had simply congratulated the owner/ manufacturer Shilpa Kenia about launching Made in India Ink Pads on face-book and I was pleasantly surprised when she sent me some Artistry Ink pads to try ! I am writing this review on my own since I loved some of the unique features of these ink pads and wanted to write a frank review which may benefit other crafters!Paper Crafting is still a budding industry in India and it is so gratifying to see entrepreneurs trying to meet the needs of the indigenous paper crafting community! 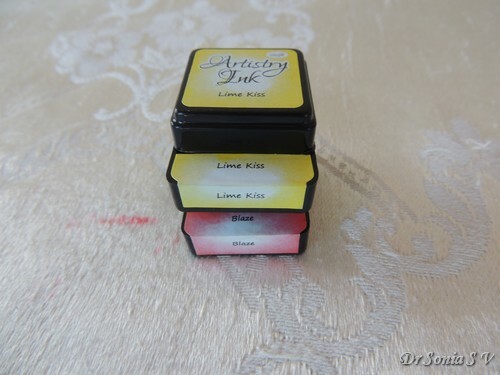 What are Artistry Ink Pads? These are dye based inks which are acid free and react beautifully with water. 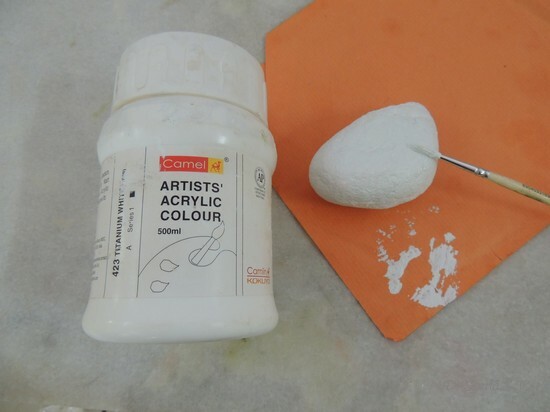 If you are familiar with Distress Inks well then for all practical purposes you can think of Artistry inks to equate closely to Distress Inks in their properties and action ! 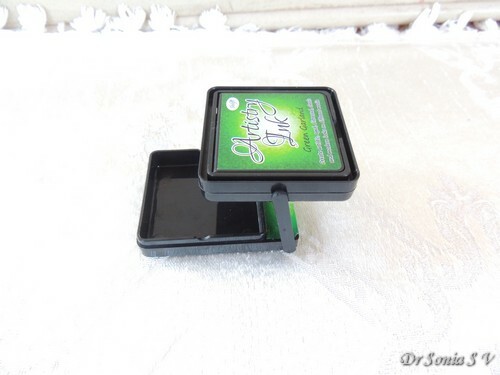 In addition to their Distress Ink like properties the big plus with these ink pads are some cool and clever design elements in the ink pad itself which addresses some problems we crafters frequently face with normal ink pads . 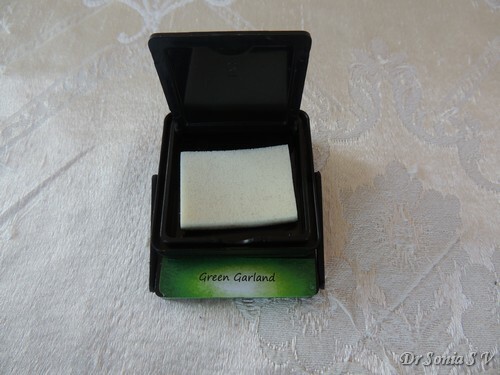 Currently Shilpi has 48 colors in their ink pads in 2 sizes : regular and mini. I especially love the regular one because of the cool design of the ink pads! InkPad is Upside down and hence Juicy Juicy! You may have read on several websites and forums about crafting stalwarts recommending you store your ink pads upside down to keep them juicy.I have never liked to do that because then I cant see which ink pad is which unless I go to the extra trouble of labeling them plus I dislike lids coming loose with upside down storage. Or you can flip it and bring it to rest atop the base for ease of working....isn't that clever! Lid is attached to it so you wont lose lids! - I find this a cool design since I am not the most organized person while crafting and I do inevitably search for caps and lids ! With attached lids....no losing lids or rummaging for lids! 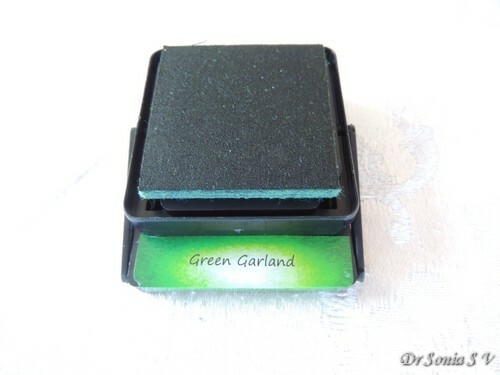 Raised stamping surface - I think this is the norm for most quality ink pads and the Artistry ink pads too have raised ink pads for ease of use. You can see the name while working or stacked! The inkpad is also labelled on its side so you can stack ink pads vertically if you wish and still see which is the color! I think this is the feature I love the best! 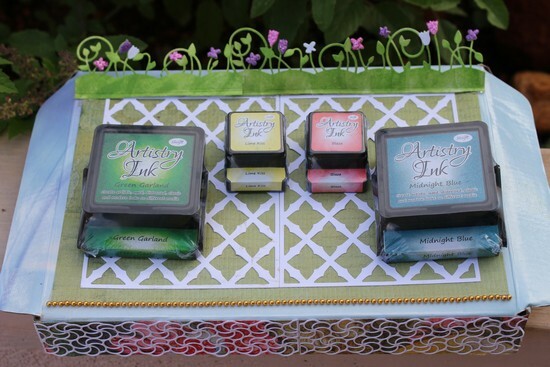 Many crafters have several wooden blending tools and lovely rotating carousels and wooden racks to store their ink pads and blending foams neatly . I have only one wooden blending tool and store the foam blending pads rather haphazardly all thrown together and when I have to use my ink pads it means rummaging through a mess! 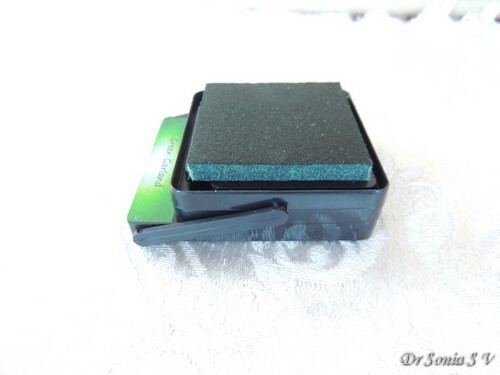 These cleverly designed ink pads have a neat storage space to hold your foam pad...super cool isnt it! The mini ink-pads are lower priced and the "ink" is super but the mini ink pads dont have all the fun clever design features the regular sized pad has! The lid is not a flip flop, there is no storage space for foam and the ink pad is not up side down but you still have the clearly visible name feature. Part of the lower panel "paper label" is not securely adhered - It doesn't peel off or anything but I felt it decreased the style quotient a tiny bit for an otherwise world class product! 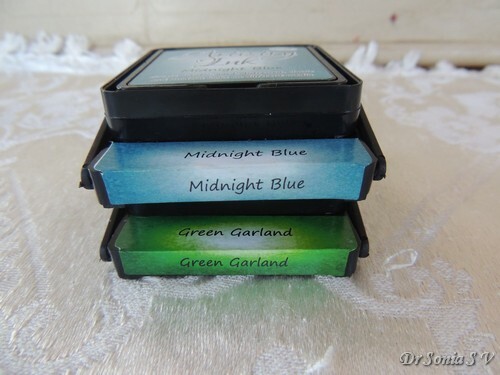 Availability - I think these gorgeous ink pads need to be marketed better so that they are more widely available . Would be ideal if major stationary shops in cities at least stock it! 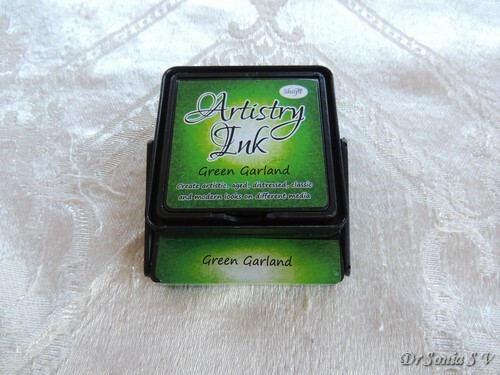 More Resources : Anita Kejriwal has posted several videos on You tube demonstrating various techniques with these beautiful inks . Water-coloring - I water colored the embossed wheel barrow and flower stamp using all 4 colors of Artistry ink pads - Loved the rich colors and their easy blend-ability. Inking edges of the paper - I often make a mess while inking edges of my card but it was easy this time! 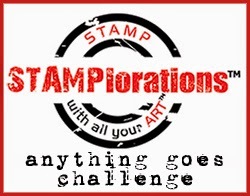 Sponging through a die stencil - I especially enjoyed using the Artistry ink pads to stencil since the ink pads were juicy I didnt have to keep pressing on the ink pad with my sponge! Coloring Parchment - I used "Blaze" to ink my parchment flowers.Parchment does not take well to many ink pads but these inks colored well and dried fast! Hi friends sharing a super simple tutorial ! 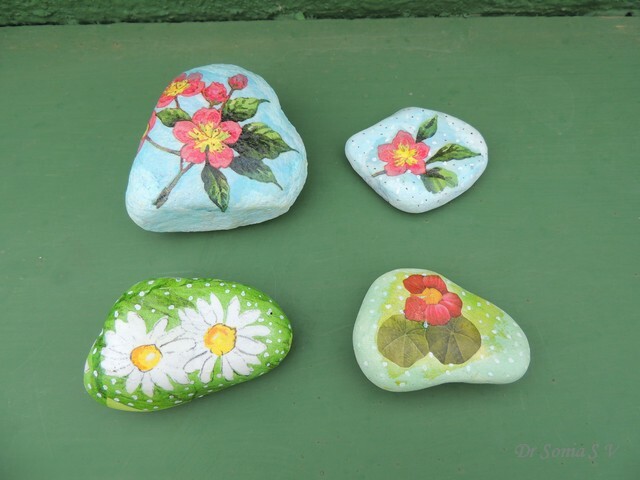 As crafty girls, you may have heard of the art of rock painting ; well I have been fascinated with it and even tried my hands on it but never been able to paint anything remotely resembling the beautiful stones featured in books or websites! So if you are like me and don't have the patience to paint ,decoupaging is a super simple and gratifying way to "Stone Craft"! This is a super easy craft and it feels so gratifying to transform a mundane object into a thing of beauty! 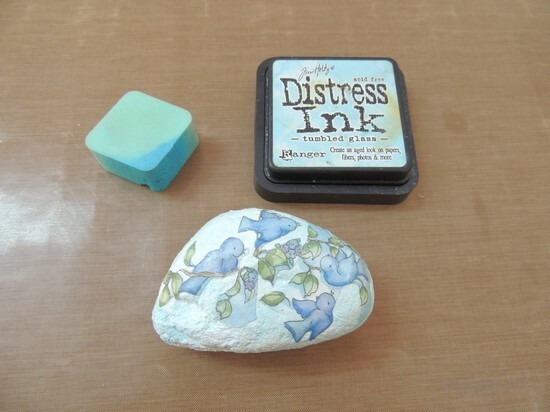 You can use these decoupaged stones as paper weights or simply as "objets d'art" in your home! They are so cute you can even gift them! And don't be scared by the word decoupage...it just means cutting paper into bits and sticking it onto something...No sweat!! 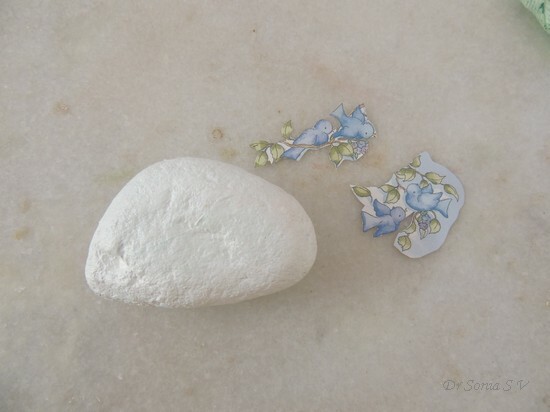 Where to collect nice stones suitable for decoupage? Stones are everywhere....you just need to keep your eyes open. Get ones which are large and can just fit into your palm.Too tiny ones are better suited for painting rather than decoupage and large ones dont look cute enough. 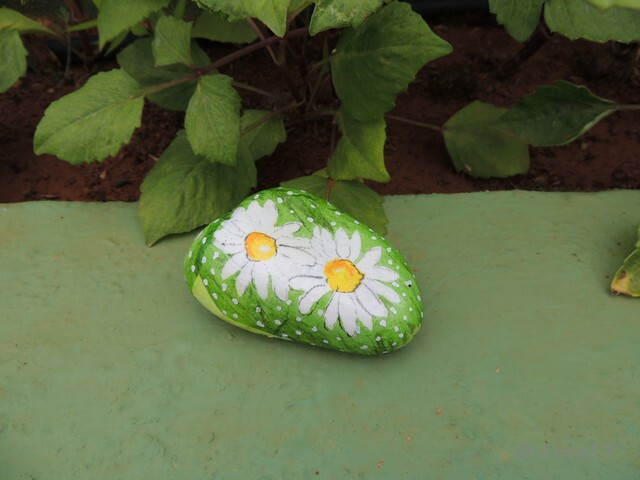 A stone the size of an average paper weight would be ideal and then after you have decoupaged it you can actually use it as a paper weight! Easiest way is to fill a bucket with soapy water and leave your stones for a couple of hours/ overnight.....that way you don't have to spend as much time scrubbing them clean. I do add a little bit of antiseptic Dettol too into the bucket of water just to decrease the germ load before I handle the stones! 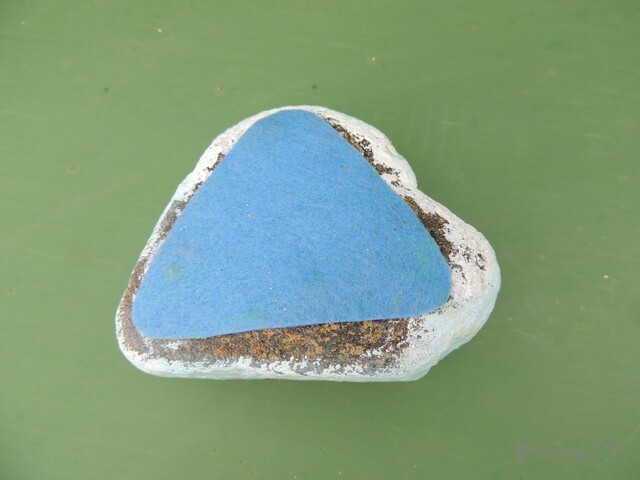 Choose stones which don't have cracks....in case all your stones have cracks you can "cheat" and smoothen it out with air drying clay/mseal. 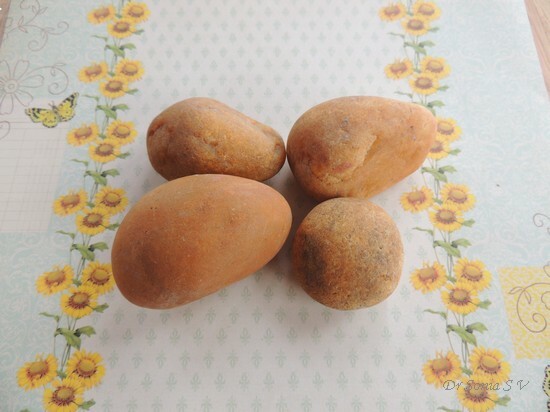 Choose stones which have one flat surface- this just makes working on the stone easier ---decreases frustration of running after rolling stones! 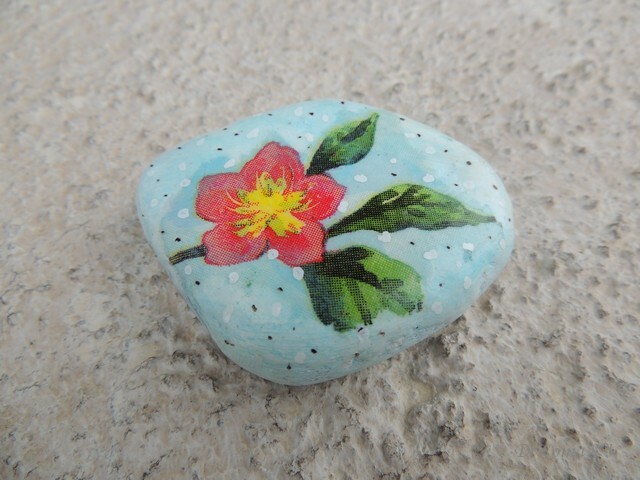 Paint the stones with white acrylic paint...yeah you can skip the gesso...it doesn't really mater! 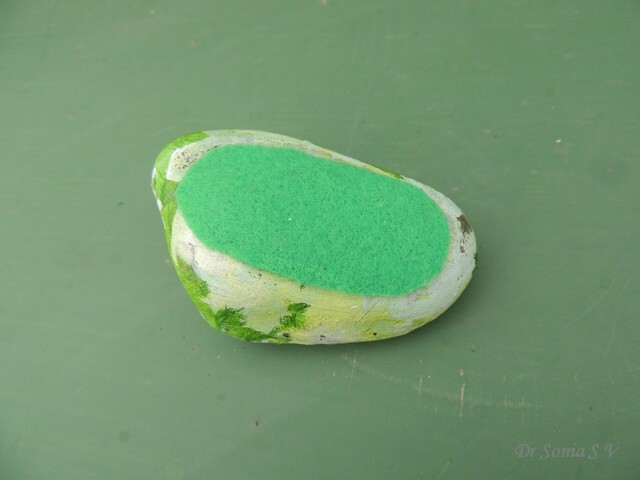 Use thin paint brushes to really get into all the little dips on the stone! After drying turn it over and attack the under-surface ! You can cut the design closely or just leave a margin. 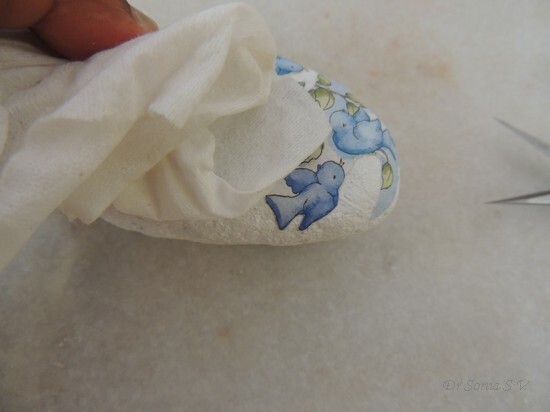 For the stones decoupaged with tissue paper use only the top layer and discard the other layers.Tissue papers may have 2 or 3 layers and you have to peel off all layers and use only the printed layer for decoupaging. 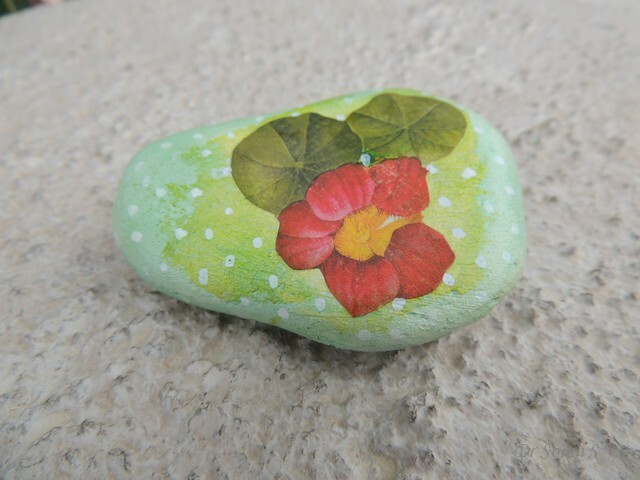 You can apply a thin layer of mod podge/ other decoupage glue using a regular paint brush or a foam brush on the dry stone. Dont apply a lot of glue on the stone or you will be left with a sticky mess and frustrated hair pulling! Gently place your cut design on the stone and mop with a towel gently! 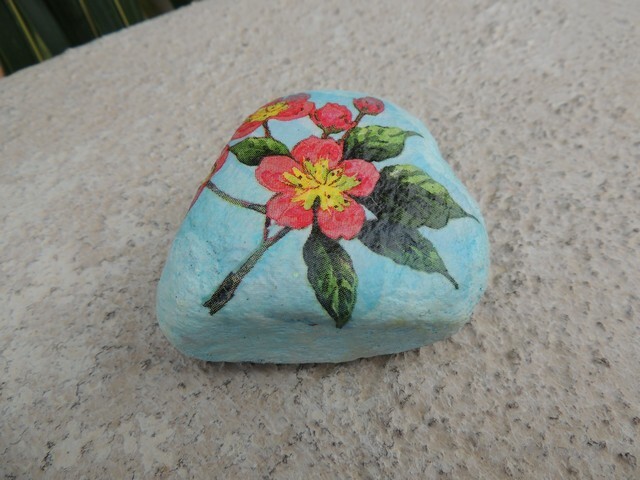 Once dry you can bring out the artist in you and try a few tricks to help merge the design to the rest of the stone! 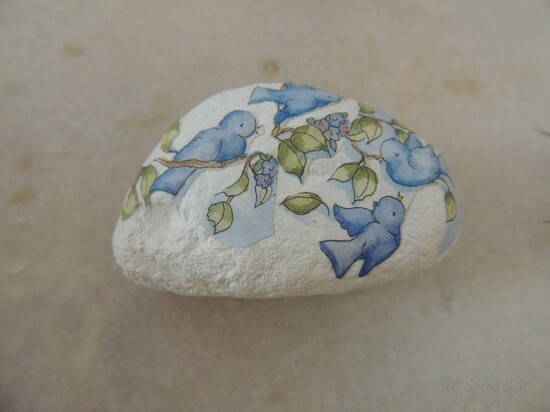 In the design above I inked the white acrylic painted parts of the stone with Distress Ink to decrease the contrast with my birds. You can also add a few dots of acrylic paint randomly to up the cuteness quotient! 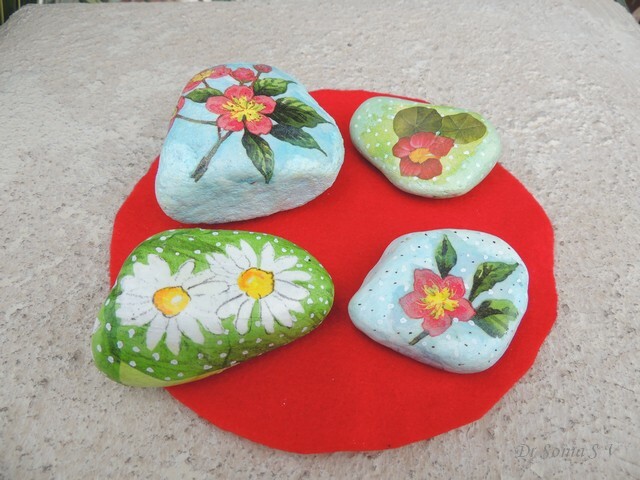 If you are planning to use your decoupaged stones as paper weights or want to avoid scratching your tables with your stones, hot glue a piece of felt on the under-surface of your stones. The red flower shown above was cut from a DCWV pattern paper..I fussy cut the flower and leaf close and inked the surrounding stone with distress ink and added white acrylic paint dots! And that is the under - surface of my stone ...the felt levels off the irregularities and not only does it protect your table/other surface from the rough surface of the stone but prevents the stone from sliding or wobbling. I hope this simple tutorial will be of use to you or inspire you in some way! Hi friends I am thoroughly enjoying making tags....it is so much fun to embellish a tiny piece of paper! 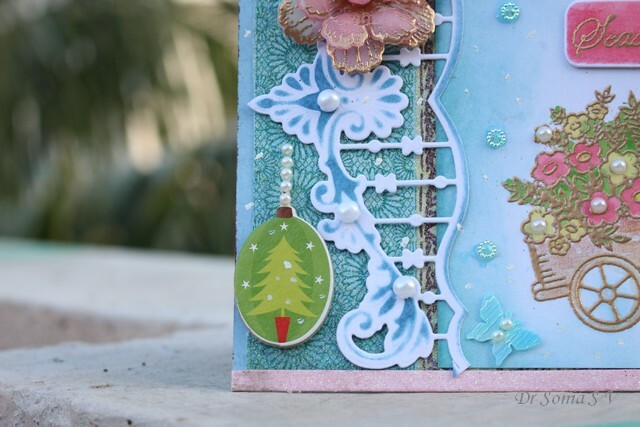 I used a Christmas tree foam stamp to stamp a tree on a musical notes pattern paper and heat embossed using Ranger's Holographic embossing powder...this powder is just wow for festive projects...once embossed it literally shines in different colors depending on how the light is falling on it! Added my favorite stamped heat embossed parchment flowers and some silver Marianne leaves. Experimented for the first time using a snow marker and ooh it was fun to see the snow puff up! 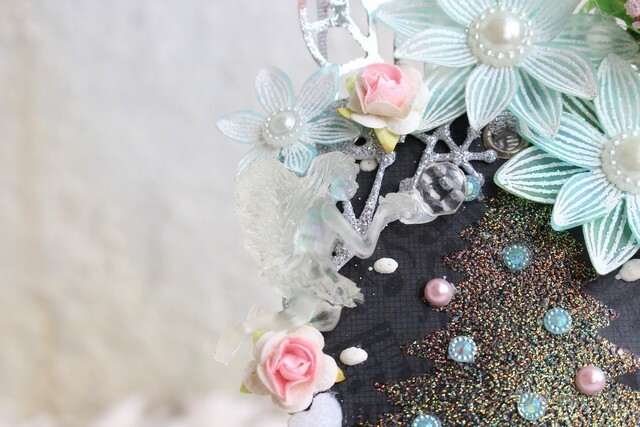 And that is my handmade resin fairy you see popping up every now and then in my projects! She is going to put the crystal ball [ a crystal bead I added to her hand!] atop the tree! 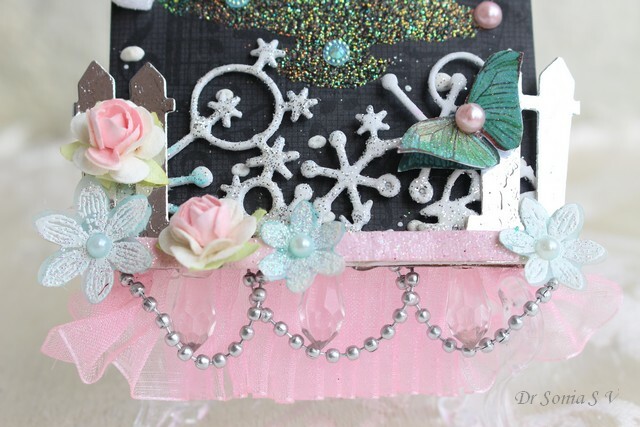 And yes I couldnt resist adding a sparkly snowflake border! Also proud of the beaded trim with the crystal beads behind them! It is crazily tough to get equal spacing with beads! !I fuzzy cut 2 butterflies from a DCWV pattern paper and layered them with foam dots to make a 3 D glittery butterfly. I hope you liked my fairy/angel tag! Winnings and Gifts from the Crafty Community !